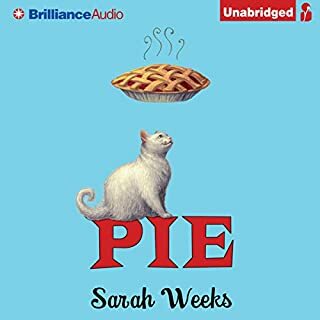 When Alice's aunt Polly, The Pie Queen of Ipswitch, passes away, she takes with her the secret to her world-famous piecrust recipe. Or does she? In her will, Polly leaves the recipe to her extraordinarily fat, remarkably disagreeable cat, Lardo...and then leaves Lardo in the care of Alice. A storm struck on the night Laura Shane was born, and there was a strangeness about the weather that people would remember for years. But even more mysterious was the blond-haired stranger who appeared out of nowhere - the man who saved Laura from a fatal delivery. Years later - after another bolt of lightning - the stranger returned, again to save Laura from tragedy. Was he the guardian angel he seemed? The devil in disguise? Or the master of a haunting destiny beyond time and space? The only issue I had with this book was a staticky on the recording. Probably a cassette tape port. 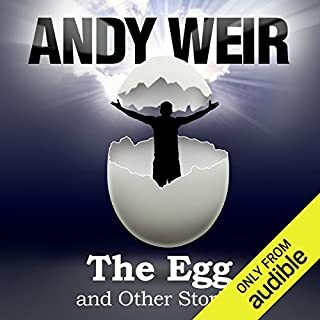 The story itself was excellent and the narrator was very talented. 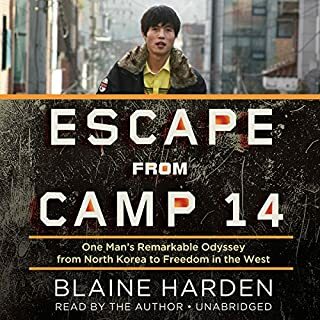 I’m entering this review as part of the #Audible 1 promotion. I looked through my library of books for one I wanted to tell others about and this one jumped out in my collection. 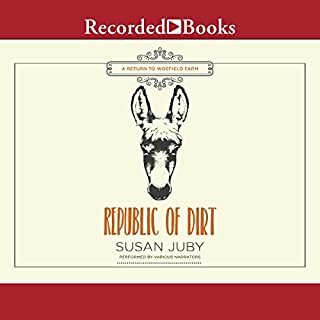 I took a chance on this book when it came on a deal. Not a regular Koontz fan, but the way this book develops made me look into his other works for more of the same type of clever writing. 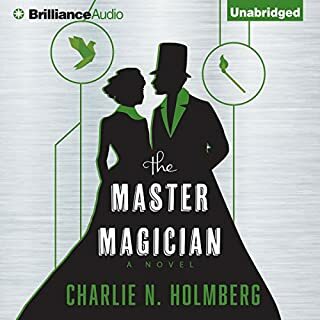 This is not just a time travel book, I’ve listened to many and found that most have the same problems brought up (grandfather paradox) and the same clever explanation and solution, not this book. This presents time travel from the perspective of a person affected by the time traveler. Things like how does your life change when someone shows up out of the blue to help, can you rely on that help, can you help them back. There is enough story to develop characters you care about, but enough action to keep things going along. Some adult themes to help the reader realize how dire things can get, but nothing graphic. A time travel story that started strong, but lost me 2/3 of the way in. 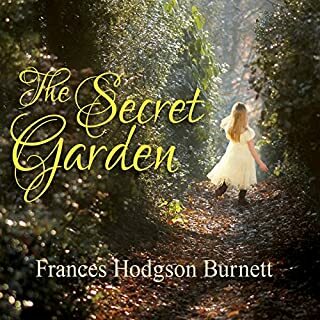 The story is at its best when the main character is a child; horrors lurk around every corner, monsters haunt her world and stalk her relentlessly. Every chapter draws you in, and you genuinely fear for the safety of this poor child. The trouble comes when she grows up and morphs into a Sara Connor-type character who stockpiles guns and fights time traveling Nazi's (really?). Perhaps if I read this in 1988, my review would be different, but in 2018, it doesn't really hold up. 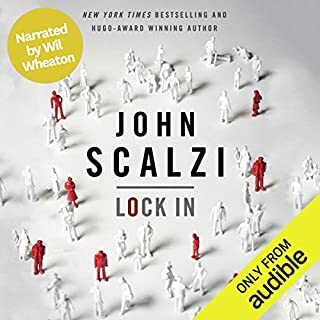 loved every moment of this audio book. narrator made it real and drew me in. the story was exciting and touching. This is probably one of Koontz's best book. The narrator did a great job! It's a perfect combination. Waste of my time. 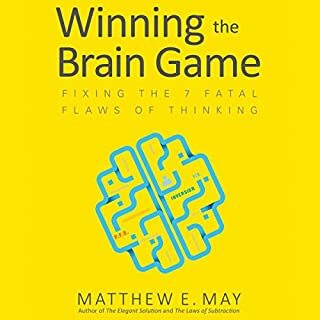 I am looking for something insightful in books. 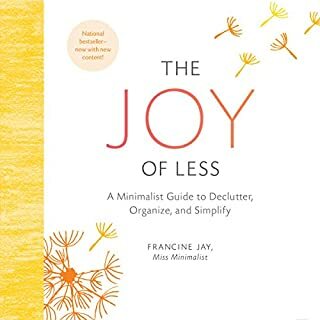 There wasn’t anything in this book for me. I am an occasional Dean Koontz fan, I've read several of his books and have had mixed opinions about them. I like his novels that have a more serious tone, like this one does. Not a lot of "boy-meets-girl" crap and corny dialogue, as in some of his novels. This is just a very well-crafted story that moves very smoothly along, with suspense in all the right places. Classic Koontz. I'm very glad I got this one, it was a good use of a credit. The narrator did an excellent job, too. It was the first time I'd heard him, and I was very impressed with his skill. 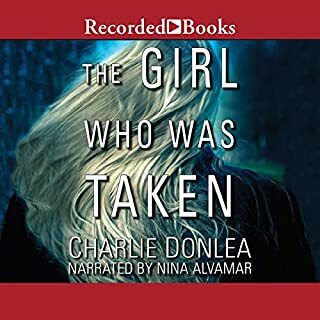 This audiobook definitely passed my "5-star" test - I was always eager to get to my commute so I could continue with the story. 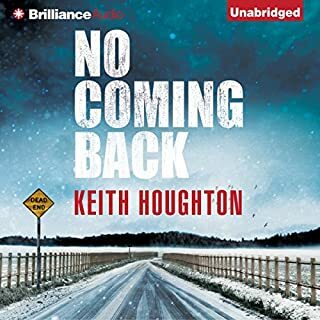 In many ways it is a very familiar Dean Koontz story: multiple storylines that converge toward the end; good people are really, really good; bad people are irredeemably evil; lots of humor; some mild horror-ish moments, etc. It is true that any book that deals with time travel requires you to suspend belief - and this one is more implausible than most. However, once you get past that one plot device (it isn't hard, since the story is great) then you are in for a great ride. There were some nice plot twists at the end that I did not see coming. 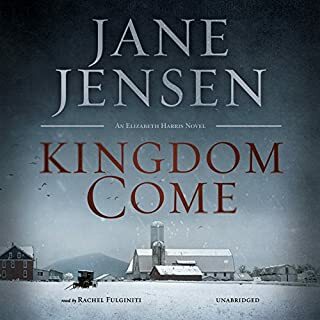 The pacing was great, the story highly enjoyable, the characters interesting, and the narration terrific. If you want a fun story with action, character development, romance, and a bit of sci-fi, this one if for you. 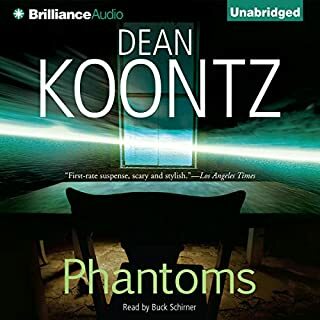 This is one my favorite Dean Koontz books - its merit comes from true mystery and suspense, rather than from the shock value of horror and supernatural events of his later works. Written in the later part of the 1980's, its content is still timely. 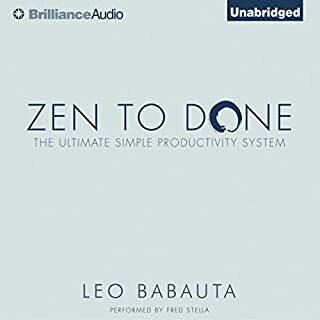 I read it several times years ago and enjoyed my recent listen as much as I did my first read. STORY - (Suspense) Like the Publisher's Summary says, there's lightning and a stranger. Is he a guardian angel, the devil in disguise or a master of time and space? I don't know how I can write anything about this story without giving something away, so I will just comment that it is unusual and very good. I was expecting it to possibly be scary, but it isn't. There's sadness and violence, but there's also humor and love. 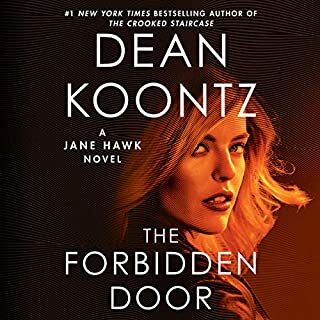 This is my first Koontz novel, but it's not going to be my last. PERFORMANCE - Good job with multiple voices and accents. OVERALL - (Actual rating 4.5) Highly recommended for both guys and gals. Probably too much violence for young teenagers. Must be in the mood for some mystery with lots of action and suspense. I thought about it frequently afterwards. At times it was a roller coaster ride, frightening, intense, and I didn’t want to stop reading until I got through the current crisis. The main story is Laura’s life from birth to adulthood. A strange man appears at critical times in her life to save her from disaster. Laura is not a wimp. She does smart things. This is one of the few books where I don’t want to say much about the story. It is sooo much better not to know. There is suspense, danger, courage, clever things, and surprising things. The characters are rich. I had two problems. The author used the artificial device of interrupting scenes. For example, there’s a scene in 1977 and another in 1988. The author split each of those scenes into about four parts and then went back and forth between the two showing pieces of each scene. The effect was interruption, and I was angry at the author which took me out of the story. This happened a few times during the book. There was such great “natural” suspense and action, the author didn’t need to use this device. I would have been ok with splitting the scenes into two parts each, to allow the two climaxes/resolutions to be told together, but no more than that. Second problem was the narrator (Christopher Lane) using an effeminate gay guy’s voice for young girls. It was terrible acting - the wrong tone and voice for girls. 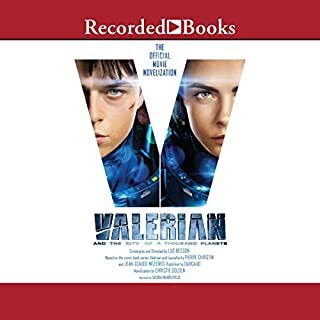 Get a version with a different narrator (if ever available) otherwise read the physical book to eliminate that problem. The strange man was able to do something a few times but not another time which bothered me. The explanation given was not consistent since it did not apply to all situations. But the story was so good I was willing to look past it. Again I can’t say more. I don’t want to give anything away. Genre: time travel suspense thriller. THIS is why I listen to Koontz - riveting, non-stop action. I will be thinking about these characters for a very long time. 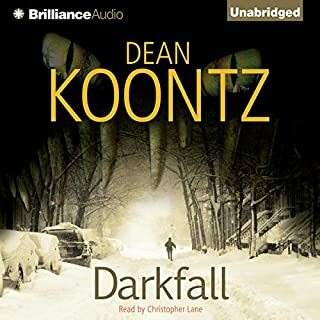 Absolutely one of the best Koontz I have heard since the Odd series. Worth every dime I paid. Brilliantly researched and executed. It's DK as only he can do. Narration was one of the best ever and had my attention from beginning to end. 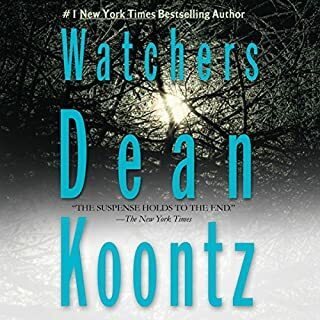 Three of my favorite Koontz books are Watchers, Strangers and Lightning, written one after another in the late 80s. 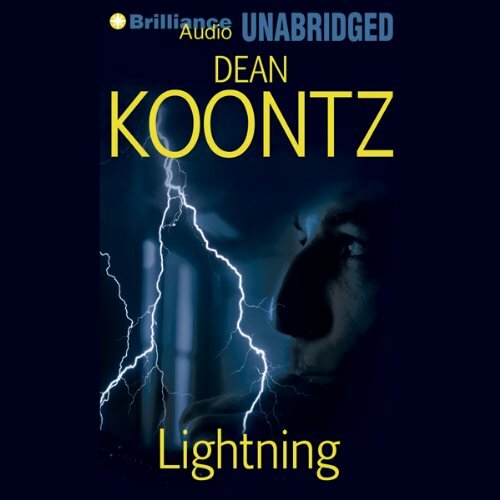 In Lightning, Koontz provides the fast paced, suspenseful storytelling he is known for, and well developed characters that you care about. The narration is excellent. I couldn't leave this one in the car. I had to take it inside and play it through.